It’s nearly 9 am and we’re about to go to Paris for the day which we don’t do very often. To our immense surprise, the ground is covered in snow! I run around taking photos and videos while Jean Michel makes sure all the bird feeders are well stocked. This is our first snowfall for the season and totally unexpected. The roads aren’t too bad although they haven’t yet been sanded and we have to keep in the middle lane until Orléans. As we approach Paris, the sky is a brilliant blue but it’s only a few degrees so quite cold. Our first stop is Paris’ best-known sports store – Au Vieux Campeur near Saint Germain des Prés – because we need to replace our falling apart Meindl Capri walking sandals to go to Australia next month. We tried to buy the same ones on the Internet, to no avail. Buying sandals in winter is not a great idea. 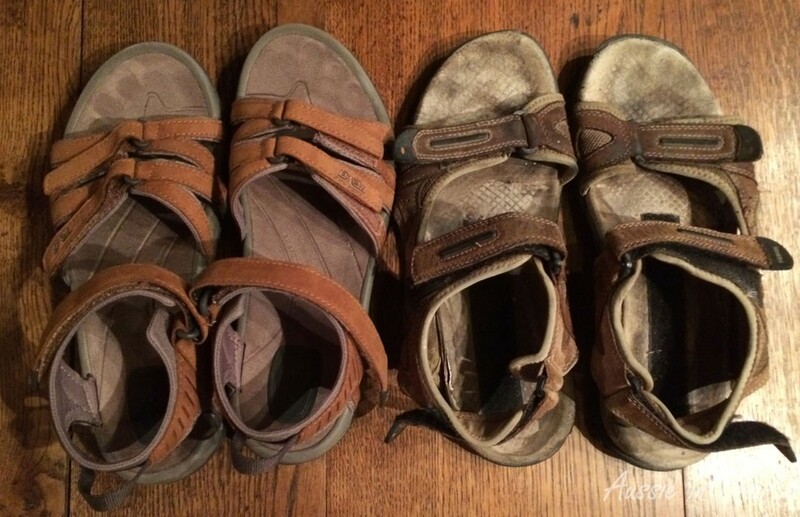 Despite the churlish, know-it-all salesman – even Jean Michel thinks he is terrible – we manage to find a suitable pair of sandals before we each go our separate ways. I have to admit the new Teva ones are much more stylish. Jean Michel is having lunch with a former colleague and I am meeting up with my lovely friend Mary Kay from Out and About in Paris who is soon to go and live in Prague. I am not the only person who will miss her. 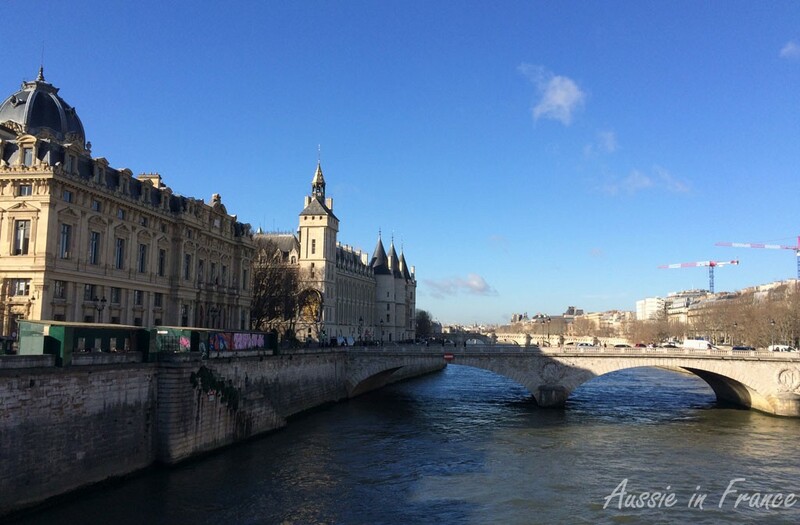 As I walk across the Seine to Notre Dame then past the Conciergerie and over the river again to the right bank and my metro at Hôtel de Ville, I can’t stop taking photos, the sky is so clear and sharp. I emerge at the Arc of Triumph which is also looking good with so much blue sky around it and head for the 5-star Peninsula Hotel on Avenue Kléber where Mary Kay and I are having lunch in Le Lobby recommended by Janine Marsh in a recent post in her blog, The Good Life magazine, relayed by Susie Kelly on No Damn Blog. 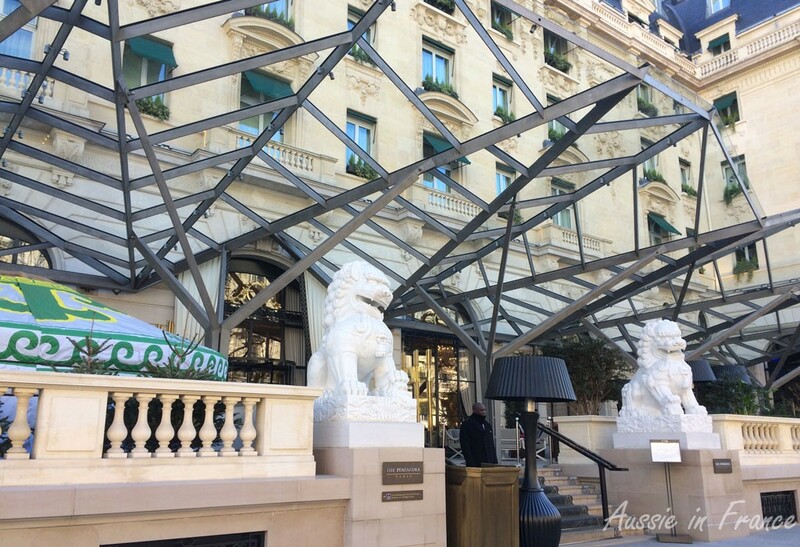 After 5 years of renovation, the lobby of the Peninsula is, indeed, a splendiferous setting. The welcome and service, of course, are impeccable. I can even forget my iPhone on the table while I wash my hands and find it still waiting for me. We choose the 60 euro set meal that includes a glass of wine and bottled water. A very tasty Jerusalem artichoke and foie gras soup is followed by beautifully cooked sword fish (which the waiter pronounces to rhyme with sworn) on a bed of vegetables. We finish with cheesecake on a strawberry crust which is somewhat disappointing especially as I’m not a big fan of France’s favourite fruit. Mary Kay, who has been to the L’Oiseau Bleu restaurant and bar several times then takes me up to the roof of the building. The view of the rooftops of Paris with Sacré Cœur in the distance is stunning. I make a vow to come back here for a drink in the summer. 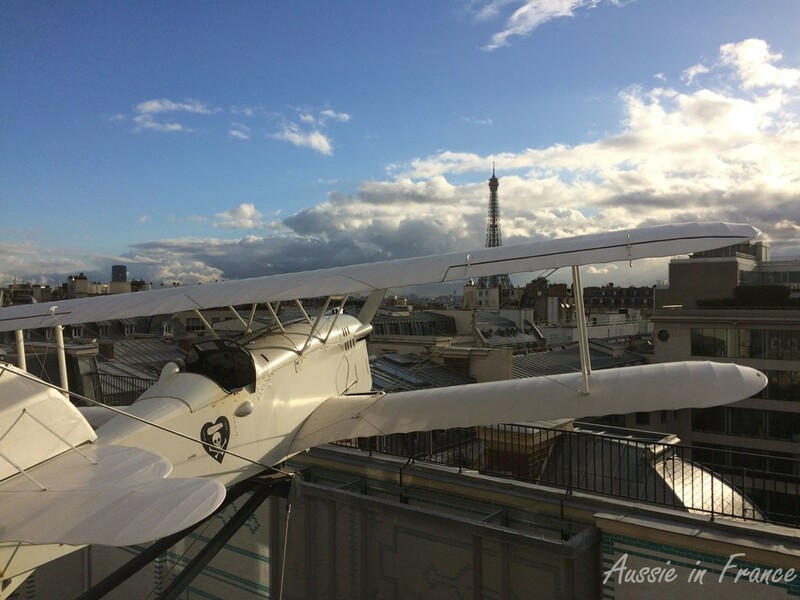 L’Oiseau Bleu is named after the biplane that disappeared on 8th May 1927 with its two French pilots, Charles Nungesser and François Coli, during the first attempt to fly non-stop across the Atlantic from Paris to New York. Less than two weeks after their disappearance, Charles Lindbergh was the first to make the crossing, but in the other direction, on board the Spirit of St Louis. No trace of the Blue Bird has ever been found. There is a replica of the plane on the roof. I am sad to leave to leave Mary Kay but hope to see her again before too long, perhaps in Boston or New York now that Leonardo and Black Cat are both living there. Much as I enjoyed the week I spent in Prague several years ago, it isn’t on the agenda again for the moment, but who knows? 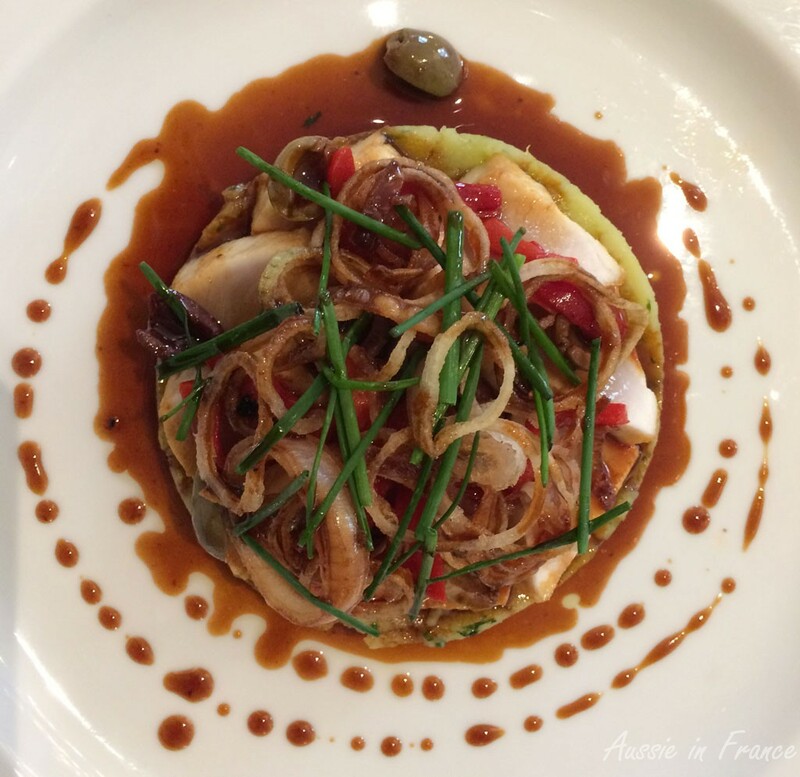 This entry was posted in Eastern Europe, Paris, Restaurants and tagged Au Vieux Campeur, l'oiseau bleu, le lobby peninsula hotel, Out and About in Paris. Bookmark the permalink. Beautiful shots of Paris- and such pretty snow! We were so thrilled with the snow! 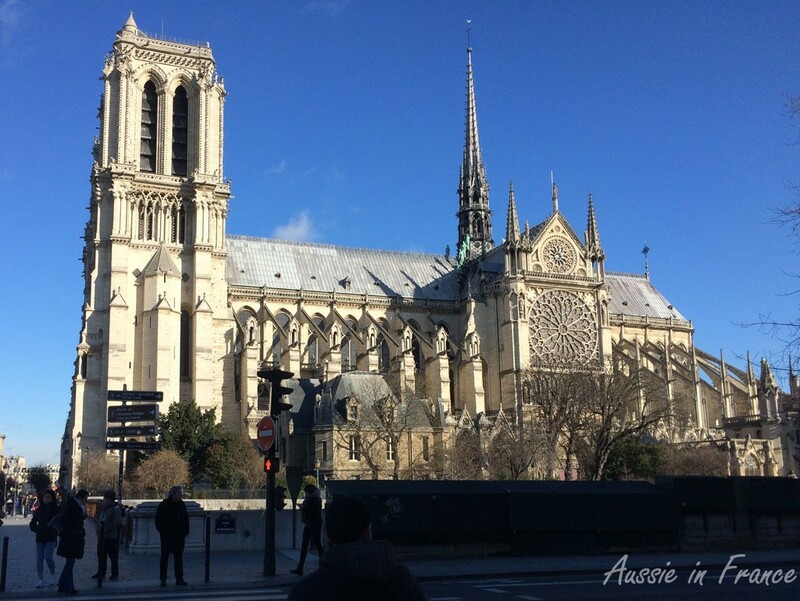 Love this post – I hope to go to the Penisula on my next visit to Paris – it looks so beautiful! 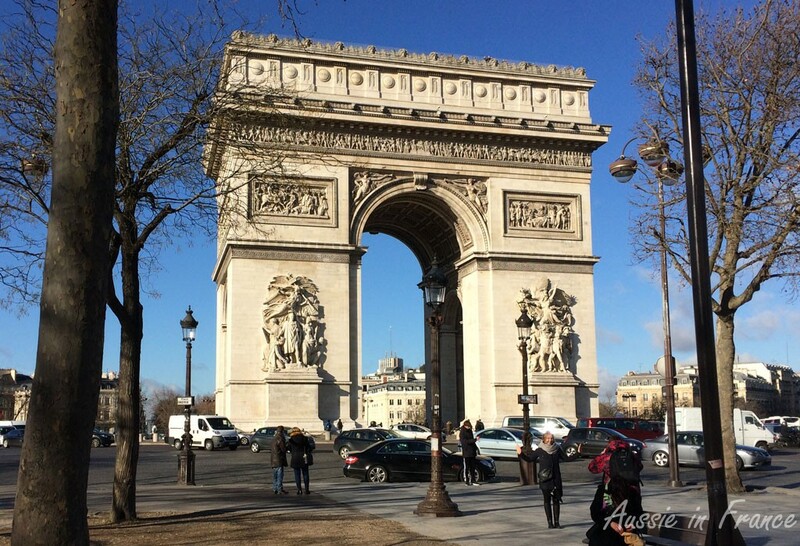 I’m puzzled at the last picture you posted – you said it was the “main square in Paris” ??? This building doesn’t look familiar to me at all! Could you please tell me where this was taken? Many thanks – and, I have never commented before, but I do enjoy each and every one of your posts I receive by e-mail! Hi Sandy and thank you for commenting. 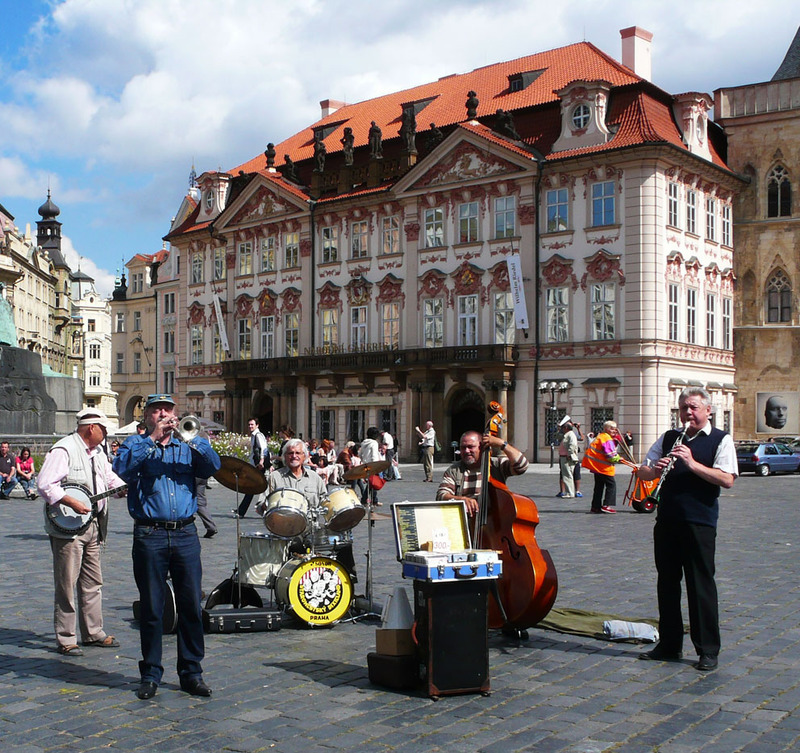 I’ve fixed up the mistake on the last photo – it should read “main square in Prague” !!! Great photos, what a blue sky! I’m a bit disappointed with the Peninsula lunch. I thought the sworn (sic) fish dish looked a bit of a mess, to be honest. As if it had been dropped from a great height. 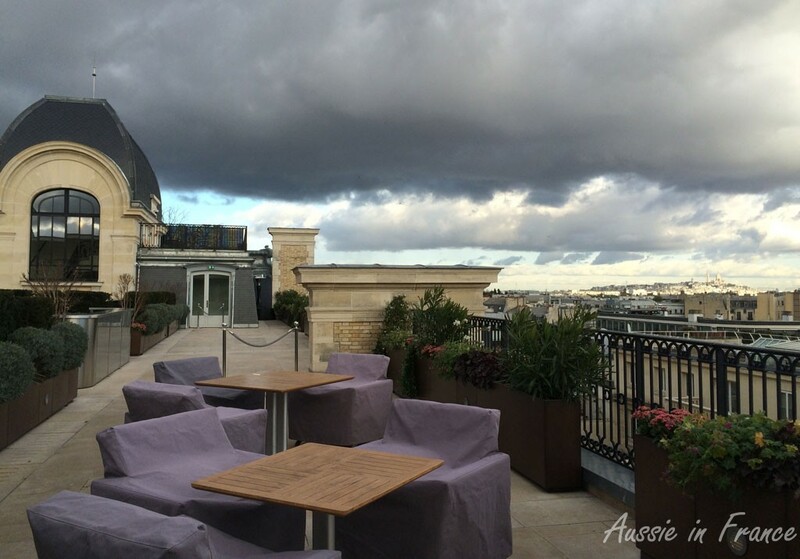 Super photo of the Oiseau Bleau terrace against the dramatic sky. Susie Kelly recently posted…Could you get me in a frock? You know I sometimes think I’m too fussy but I was a little disappointed too, especially considering the price. Nothing was particularly memorable although the sworn fish was cooked to perfection :). The sky was incredible that day. Mary Kay and I took a couple of selfies but we were against the light so they are even blurrier than the FB photo of me with my daughter. So much to make a comment about. Most impressive is the blue sky in Paris but best of all for me was the video of the snow falling. Just beautiful. What a shame you had to leave for Paris that day. Helen, I thought of you when I put the video up. It was very popular on FaceBook and Instagram as well. Actually, the snow was gone by mid-morning it seems, so I didn’t mind missing it! I think it was the same at Les Serraz. Such a lovely video of the snow in Blois and the bright blue sky in Paris. Hopefully th e skies will be blue when you come to Australia. Where are you going in Australia? Hi! Thank you. It was very exciting to see the snow. We’ll be going to Sydney, Armidale, Coff’s Harbour, Adelaide, Melbourne, the Great Ocean Road (despite the recent fires) and the coast to west of Melbourne. Of those destinations I’ve only been to Sydney and Armidale as we usually go to the Queensland. West Australia will be on the agenda next time I hope. We’re having 5 nights in Delhi on the way home, visiting Jaipur and the Taj Mahal – if we manage to get our visas!! !